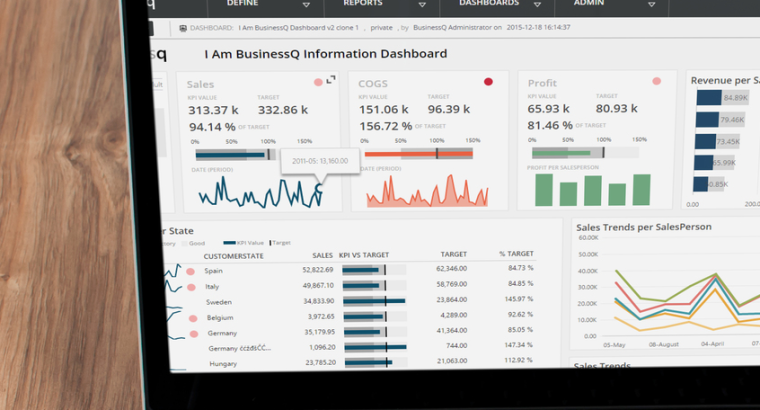 Self service BI – our basic goal – to enable ANY BusinessQ user to define and make his own report from scratch, all in drag and drop interface, and without writing a single line of SQL code! BusinessQ is carefully designed to work seamlessly on any device, including desktops, tablets and mobile devices. All you need is a modern web browser. In order to experience the best speed and overall performance, we recommend using Google Chrome web browser. BusinessQ leverages the strength of human perception in general. The very important part of that perception is our eyes (70% of receptors in our body are located in our eyes! ).The color can be used as a very powerful way to enhance the meaning and clarity of quantitative data, however, it can also add problems if it’s used incorrectly. That is why in BusinessQ we carefully created color palettes – as we simply don’t want to allow report designers to make nonfunctional reports. BusinessQ is a web application. You’ll be able to build, share and view web-based dashboards directly in your web browser. 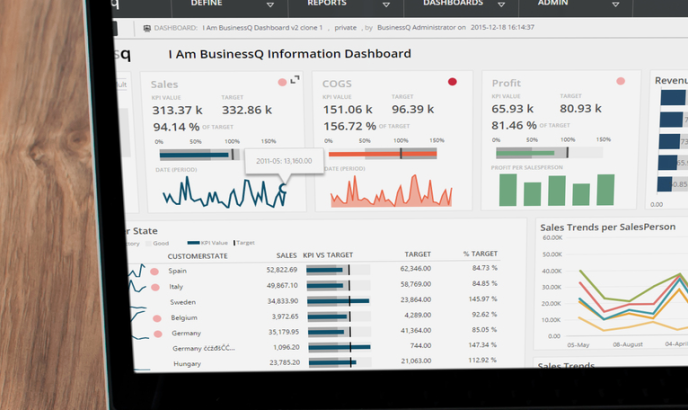 It can’t be simpler to view a BusinessQ embedded Report or a Dashboard. You just have to make the desired Reports or the Dashboards public, get their links and that’s it! Whether you are adjusting user rights, defining reports and their filters, or creating a Report or Dashboard itself, you are doing all that easily and happily in a simple and intuitive drag-and-drop interface. We have designed a User Interface in such a way that an average BI user needs only a couple of hours (or none at all) of education. It is sleek and intuitive just like most simple web applications, but with the power and rich features of desktop applications. 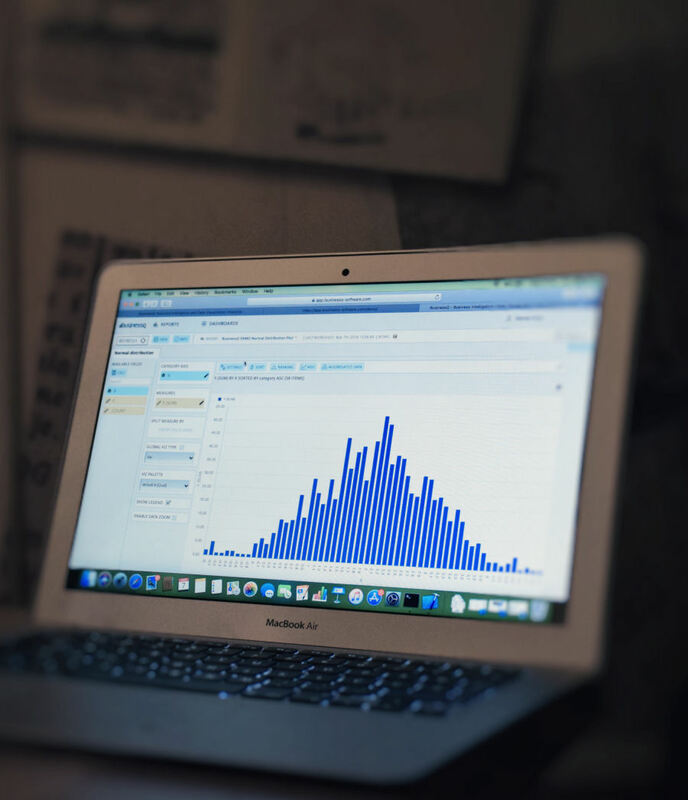 While you work in BusinessQ, the focus will be on your data, not on anything else – so the data can tell you the true story of your business. We strive to put all features in the most logical places, all with point and click simplicity. And with the Business Model – you don’t have to learn a single line of SQL.